Photograhing in rock pools - a sea slug on kelp at low tide in about 6 inches of water. 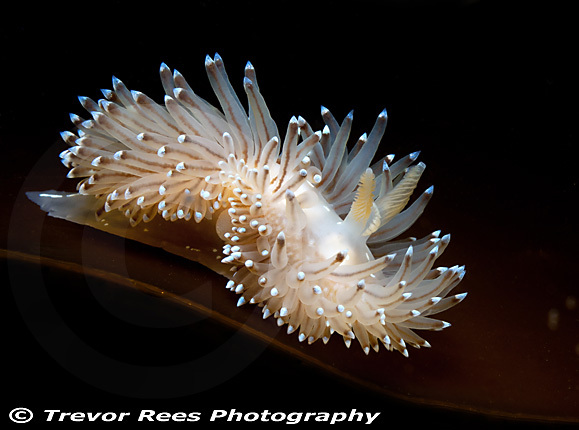 The nudibranch (Janolus cristatus) from St. Davids in Pembrokeshire. This pretty sea slug was found in a rock pool on kelp at low tide in about 6 inches of water. - voted the winning image at EMUP's December meeting.